ViewMAX/3 was never completed. It was to have been the file manager for "Panther" (the DOS that subsequently became Novell DOS 7) and is the latest GEM source code that has been found. The ViewMAX/3 desktop runs on current FreeGEM versions. The most obvious changes are that the icons are now in colour and that a background bitmap can be set. It is also apparent that windows can now be moved and resized again. Some of the menu options in ViewMAX/3 will crash it. 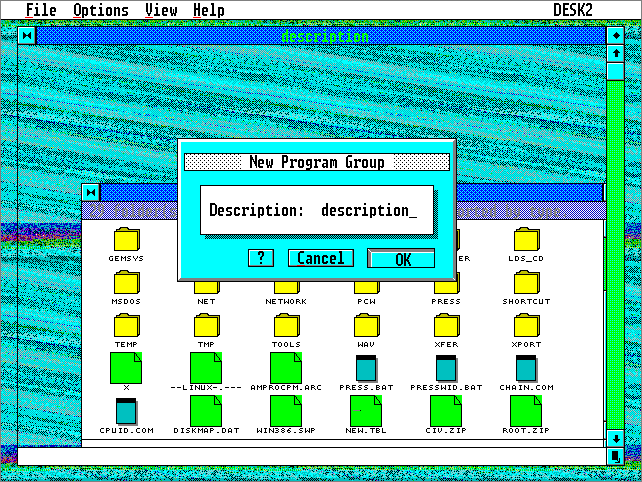 The screen above shows a crashed session just after the "New program group" has been selected. 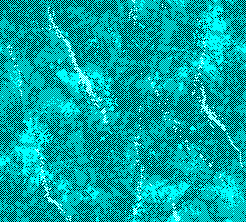 The wallpaper, by the way, is supposed to be Marble from Windows 3.11; but there seems to be a fault in the BMP loader as well.